When I mentioned the removal of volunteers to my Russian colleague today, she looked sad. Our university is one of the most prestigious in Kazakhstan, and admits only kids with high English test scores. We admit over 95% urban kids, and that’s because – like in most countries in the world – rural kids don’t have access to the best teachers. That’s a privilege reserved for those in the cities, those who will have access someday to international study programs like the FLEX high school program, or the Bolashak (Kazakhstani-funded), Muskie (U.S.) or Erasmus Mundus (European) programs for grad school. And if you don’t get into a good college or study abroad program, you may never get a good job in the city. Peace Corps was one of the few English-language outreaches into rural regions, and the people most disadvantaged by its removal are kids in those same rural communities. If you’re a doctor or a teacher, you can always find work. “In the village!” Aleksandr says, and everyone laughs. He explains that the government has programs placing new graduates in villages. Gulya knew someone that was a doctor in a village for three years, then came back to Astana and got a job in a clinic. It’s a way to build experience. And Gulbanu says that these students get a hiring bonus of $3K-9K for hardship, in order to get them out to the villages. 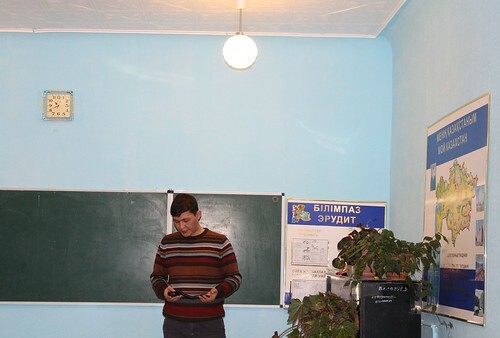 So there are some great young Kazakhs going out to the villages when they can’t get a job in the city, but that doesn’t erase the need for English in the villages. Postcolonial scholars are right that English, like any international language, has imperial affects, but the idea of not having trade languages is also faulty. English continues to advantage many young people in terms of access for the wider world. The double bind. And I’m quite convinced that the volunteers I’ve met have generally had the best interests of their Kazakhstani students at heart, in serving for so long in such small places! It is really sad that all PCVs departing. My country is amazing as you’re writing. I love my KZ very much and happy to be born here, to grow here and just being here now when these disgusting things are happening. It is scary now, really scary. But I believe that only here I feel myself safe. Because it is my country and all my close people are here. I believe that these days will go away like nightmare and again our people will meet you and other volunteers with their great hospitality! That “unnamed source” would be me. I wrote a full account about the withdrawal here: http://www.beccazsky.wordpress.com. Are you also a KZ RPCV? In Macedonia, we are also accussed of being CIA Spys. As is our Embassy- the word on the street is that it is the Balkan’s CIA headquarters, complete wiith tunnels to Kosovo for tanks! I think you will get this suspicion everywhere there are young Americans- because so many people ask this as the first question: “Why would you come to (enter country name)?!!! ?” with genuine confusion. And trying to explain that you WANTED to come to their country to meet the people and explore often gets you weird looks. As an aside, you’ve a wonderful selection of events and travels on your blog – can’t believe how much you’ve been doing!